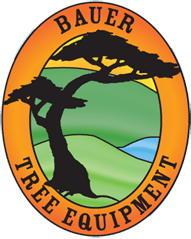 Welcome to Bauer Tree Equipment. The home to the largest selection of used chippers and stump grinders west of the Rockies. We also have a pretty good selection of bucket trucks, dump trucks and other tree and construction equipment. The equipment on the site is located all over California and Oregon. The general location is listed at the bottom of every listing, just above the price. In most cases shipping and financing can be arranged. This equipment is being offered by Bauer Tree Equipment or represented for professional dealers, private owner operators and commercial companies. After searching the website contact me directly and I will help you decide what unit best suits your needs, I will then send you what additional pictures and information I have. If you have equipment that you want to sell, contact me and we will discuss what options are available to you. If you don’t see what you need give me a call or email me, I may be able to find it for you.